This center off of Butler St. is the perfect location for local creative, design, and non-profit teams and individuals who require private office space and a prime Lawrenceville location to host events of all size and scale. Check out the maker and design communities at Ice House Studios and Radiant Hall, grab lunch at a favorite local eatery, switch-out those work shoes for a night at Spirit bar and event hall, or enjoy the season with a midday walk through Allegheny Cemetery. Situated steps from Point Park in Pittsburgh"s CBD, this co-working space allows tenants to choose the space they want on their own terms. Month-to-month memberships to the large and modern open desk space is available. All spaces are equipped with whiteboards, plentiful space and lighting, cabinet storage units, and ergonomic seats to keep you comfortable and easy, yet focused. Beautiful desks, secure filing cabinetry, ergonomic office seat, and a smart task lamp form the workstation package, with sound acoustics and close proximity to phone booths and meeting rooms to keep work fluid and fruitful. 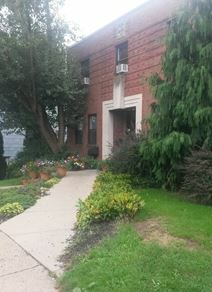 Situated close to Pittsburgh and near to RIDC Park, this centre offers very modern office suites. Amenities include conference facilities and well furnished offices with shower facilities. Friendly reception staff available. This out-of-town contemporary office building is part of a thriving business district only 30 minutes from Pittsburgh and is surrounded by a number of companies from logistics, finance, and professional services. Office space located in this vibrant location close to all nearby amenities. The centre is well managed and offers convenience to shopping and easy parking. Includes safe and secure access at all times. Conveniently located close to Fifth Avenue, this centre offers a very desirable address. The space offered is designed to a high standard and is located neat to many restaurants and stores. Space to let if offered near this PPG Complex. This centre is near to many restaurants, cafés, and other leisure activities. Rental space available at this downtown location. Offers convenience to local shopping and lots of restaurants. The building houses modern office suites with great views and onsite gym and shops. Easy parking is offered. Amazing views from the 29th floor are on offer from within this executive and regionally renowned downtown Pittsburgh business center, with an extensive range of newly-renovated office space options available all within walking distance of County and District Courthouses. A variety of executive suites, co-working space and meeting rooms are available as part of this location's fantastic workspace solution packages. Offices to rent now available at this Pittsburgh district. The Foster Plaza is a vibrant business centre located on large grounds. Lots of nearby eateries and shopping amenities. The office suites offer great views. Putting your business in heart of the action, this historic building in the Golden Triangle was constructed in 1900 and offers amenity-rich office space ideal for businesses between one and 100 people. Perks include local beer on tap, a fully stocked kitchen and bar, as well as lounge areas and 100 Mbps direct fiber internet with WiFi throughout. Plus, the all-inclusive pricing means that utilities and taxes, 24/7 secured access, mail service, a dedicated Community Manager, and company logo display come at no extra charge. Located near to several universities in Pittsburgh's burgeoning East End, this collaborative workspace environment is within what was once the home of the historic Nabisco Factory. A choice of private or shared space is available and surrounded by budding start-ups and global tech powerhouses such as Google. The local transport links present throughout the area are also exceptionally convenient and offer frequent services. Situated on the 31st floor with large windows, members of this coworking and private office business center benefit from beautiful, panoramic views of the city. Perfectly located in the heart of Downtown Pittsburgh, just around the corner from Market Square. Step into the Kelly Strayhorn Theatre, Ace Hotel Pittsburgh, or Kelly’s Bar and Lounge and you will learn that Pittsburgh’s cultural axis has returned to East Lib because its former residents still form the core of its social fabric. Give thanks to these individuals. Without them, the East Liberty we know and love today wouldn’t be Pittsburgh’s place to live, work, and play. Located in Pittsburgh neighborhood, this workspace is the perfect setting to host an offsite or a workshop. Keep your team focused around the table or have a quick brainstorm in the lounge area. Surrounded by plenty of places to eat and shop. Pittsburgh’s office complex at Penn Centre East offers a range of amenities. Includes easy and safe parking, climate controlled offices, conferencing facilities and tea-point. The center is also close to many nearby cafés and restaurants. The regional transport links present in the locality are also excellent and in operation throughout the immediate area, offering all prospective clients and occupying tenants with transportation services. This luxuriously fitted and exquisitely furnished business center installation is located close to the landmark Heinz Field stadium and provides great access to companies from such diverse and varied industries as technology, tourism and finance. There are a variety of spaces available for small or large companies throughout this thriving technological business district, widely renowned for its innovation and technical prowess. Occupying a converted convent in Mt. Washington, these exclusive business premises provide furnished or unfurnished offices with standard shared amenities, an external deck, free parking and monthly rolling licenses. This exceptionally flexible and readily equipped business center installation is a key provider of state of the art commercially focused workspace solution packages, in addition to a range of specialist services that allow occupying tenants to benefit from technologically sophisticated working options and make use of significant flexibility in both terms and support. The local transport links are also excellent and offer a wide range of highly convenient and frequent services. Built c. 1910, the Pitt Building was formerly an HQ for the Americus Republican Club of Pittsburgh where members could be found rubbing elbows and puffing on cigars with Teddy Roosevelt in the building’s formidable billiard rooms. 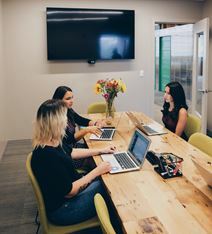 All offices are equipped with whiteboards, plentiful space and lighting, cabinet storage units, and ergonomic office seats to keep work comfortable and easy, yet focused.